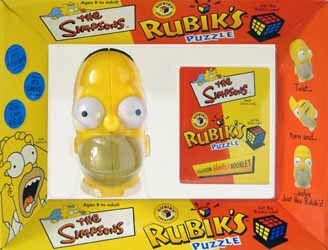 The Homer Simpson Rubik's Cube looks like a bit of a con. The thing only comes in eight segments so it's bound to be a doddle to mix up and reassemble isn't it? Surely you're not going to need to use the guide book included to put it back to normal? Actually, it's not quite as simple as it looks. So how does it work? Well, Homer's head is split into eight different pieces, and divided in half in three ways (horizontally, vertically from right to left, and vertically from front to back). Each of the pieces can be twisted around a central axis, so within just a few turns, poor old Homer's eyes could end up where his mouth used to be. 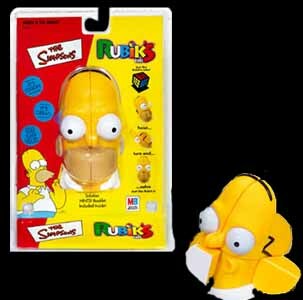 This is the perfect gift for every serious Simpsons fan.